Have fun decorating these Halloween treats with the kids. They can use their imaginations to create these yummy monsters. 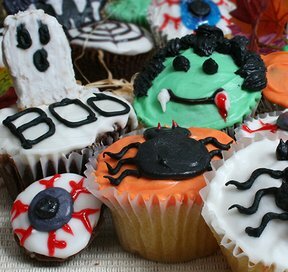 This homemade halloween cupcakes and frosting recipe is just one of many delicious cupcake recipes you will find on our site. Step-by-step instructions to make a healthy and tasty snack from those pumpkin seeds.